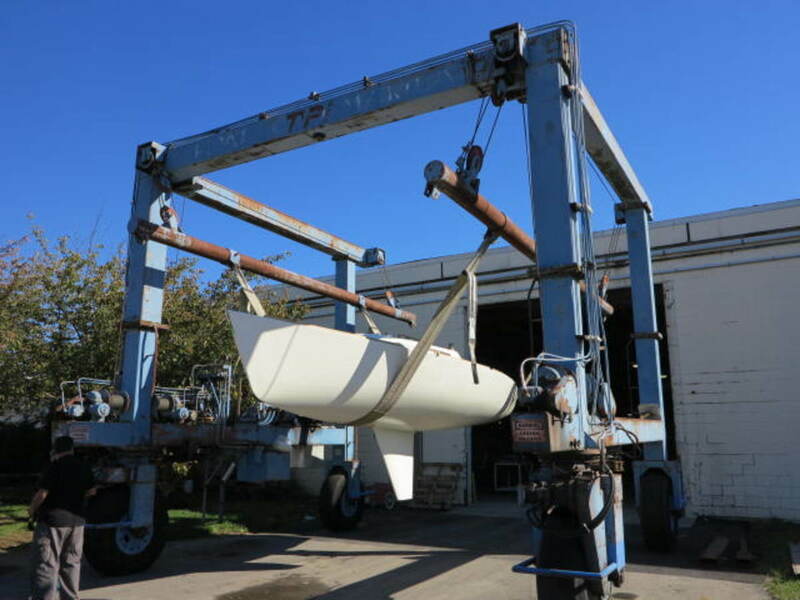 After entering receivership in August, all of US Watercraft’s brands, as well as its factory and contents — including this J/22 and 30-ton travel lift — will be auctioned. A $620,000 offer was made to buy some of the US Watercraft LLC brands after the boatbuilder entered receivership during the summer. The Rhode Island Superior Court-appointed receiver said the offer was for the purchase of True North, C&C, PDQ and J/Boats. The purchase would include trademarks, boating lines, engineering, tooling, molds and manufacturing processes for those brands. “Higher and better offers are welcomed and can be made prior to the date set down by the court, which is Nov. 3,” receiver Vincent A. Indeglia said. The auction for the boat brands is set for Nov. 9. Alerion, North Rip Boat and Redline 41 were not included in the offer. 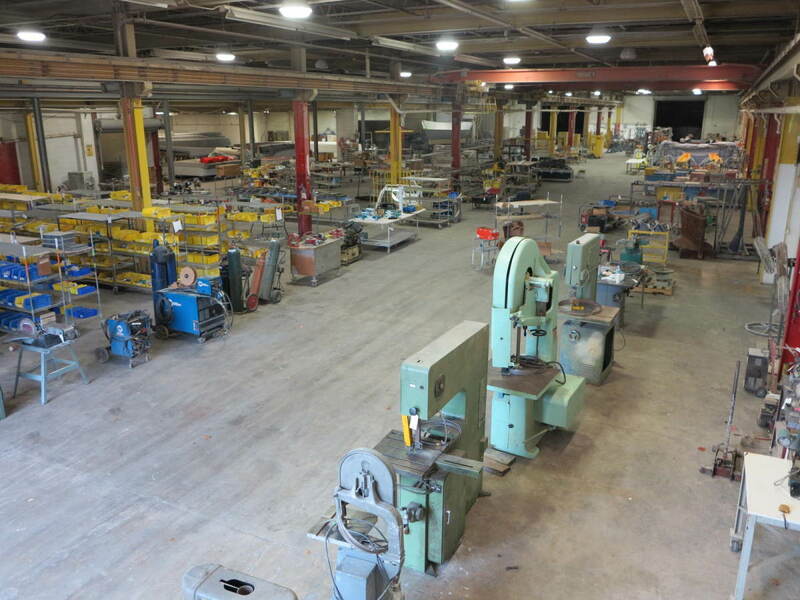 The entire factory and all of its contents — including five sailboats, a 30-ton travel lift, machinery and raw materials — will be auctioned on Nov. 11. Interested parties will have the opportunity to bid in person or online. The equipment includes forklifts; tens of thousands of stainless steel nuts, bolts and fasteners; woodworking equipment; boat hardware; fenders, flush-mounted refrigerators and ice makers; new toilets; electronics, about 300 boat stands; fiberglass equipment; and copper wire. The entire US Watercraft factory and its contents will be auctioned Nov. 11. US Watercraft entered the court-supervised state bankruptcy process in August, Indeglia said. US Watercraft has, for many years, manufactured and sold the Alerion Yacht, True North Yacht, North Rip Boat, C&C 30, Redline 41 and certain J Boat racing-class sailboats, Indeglia said in a statement. US Watercraft owns licenses to sell C&C sailboats and certain J Boat models. Prior to entering receivership, US Watercraft built boats utilizing its proprietary resin-infusion process. Indeglia has set up a virtual due diligence room for interested parties not only in the True North, C&C, J/Boat and PDQ lines, but also North Rip and Alerion. Offers for the Alerion and North Rip lines have been received and are being analyzed.